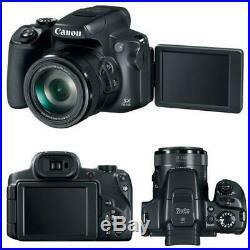 Canon PowerShot SX70 HS Digital Camera + 64GB Memory Card + Card Holder + Card Reader + Camera Case + Lens Tissue + Mini Tripod + 3pc Cleaning Kit. 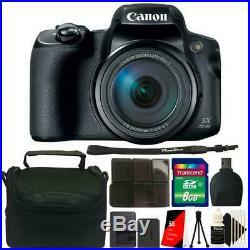 Canon Powershot SX70 20.3MP Digital Camera 65x Optical Zoom Lens 4K Video 3-inch LCD Tilt Screen (Black). Characterized by its impressive reach, the PowerShot SX70 HS from Canon is a flexible point-and-shoot offering high-resolution imaging and a wide-ranging 65x zoom lens. The 20.3MP CMOS sensor pairs with the DIGIC 8 image processor to afford stills shooting at up to 10 fps for working with moving subjects, and also enables recording UHD 4K video content as well as producing 4K time-lapse movies. For working in a variety of shooting situations, the 65x optical zoom covers a wide-angle to super-telephoto focal length range, and is complemented by five stop-effective image stabilization to minimize the appearance of camera shake for sharper handheld shooting. Benefitting the imaging capabilities, this camera also incorporates a 2.36m-dot OLED electronic viewfinder for clear eye-level shooting and built-in Wi-Fi and Bluetooth permit seamless wireless control and sharing capabilities. 2.36m-Dot OLED Electronic Viewfinder<. UHD 4K Video Recording, 4K Time-Lapse. Continuous Shooting up to 10 fps. In the Box Canon PowerShot SX70 HS Digital Camera LP-E12 Lithium-Ion Battery Pack (7.2V, 875mAh) Battery Charger LC-E12 for Battery Pack LP-E12 NS-DC11 Neck Strap UPC: 013803312188 MPN: 3071C001. 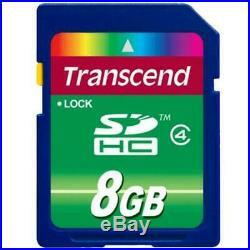 8GB Transcend SDHC Memory Card Class 4. More memory means more pictures, and you'll be able to store hundreds of high-quality photos and videos with this 8GB Class 4 SecureDigital High-Capacity (SDHC) memory card. SDHC features high data transfer speeds allowing you to:capture images and video faster than with a standard SD cardshoot faster, capture smooth digital videotake full advantage of your camera's maximum image quality and resolution settings. 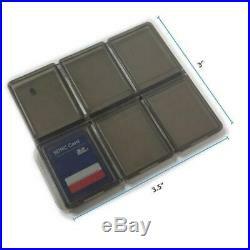 Holds 6pc SD/SDHC Memory Cards. 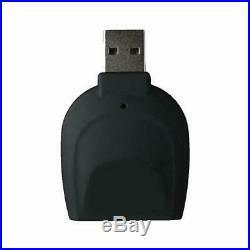 Durable Professional Multi-SD Memory Card Case. Transfer files easily and quickly. 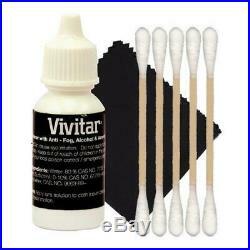 VIVITAR LENS TISSUE 50 SHEETS. 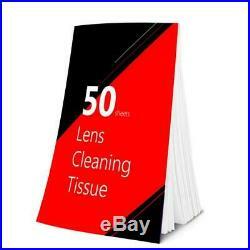 Small Size Lens Tissue Paper is premium quality lens cleaning tissue. Lens tissue is extremely soft and safe for any optical lens surface - glass or plastic. Each package includes 50 Sheets of tissue. With this sleek and padded camera bag, keep all of your photographic equipment safe and sound. You can organize your accessories to fit your needs. Resistant sturdy construction with a fully padded interior. Soft padded dividers protects the camera and lenses. Adjustable carry strap easily fits to your desired length. Side Zipper Pocket for Added Storage. 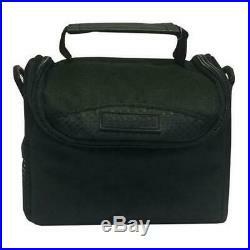 Camera Case for DSLR/SLR Canon, Nikon, Sony, Panasonic, Olympus, Pentax and your photographic equipment. This 3 piece cleaning kit is perfect to carry in your camera bag. A bottle of cleaning fluid. This table top tripod is super compact, lightweight, and collapsible. It has a unique two point expansion system. DETAILED LIST OF ITEMS INCLUDED. 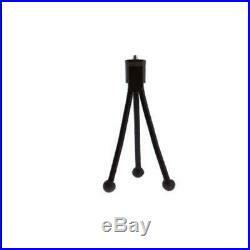 All products we sell are brand new unless clearly specified on the listing. We cannot change your address before the order ships. We offer a customer 30 day return privilege policy. Welcome to Ted's Electronics! The One Stop Shop for all of your professional Photography Needs. Nikon and Canon DSLR Bundles are our specialty. We offer a wide variety of Cameras, Lenses and accessory kits at competitive prices, to match the needs of professionals and beginners alike. Shop with us and benefit from our expertise! The item "Canon PowerShot SX70 HS 65x Optical Zoom 4K Video Digital Camera 3071C001 Bundle" is in sale since Tuesday, March 19, 2019. This item is in the category "Cameras & Photo\Digital Cameras". The seller is "tedselectronics1" and is located in Brooklyn, New York. This item can be shipped to United States, Canada, United Kingdom, Denmark, Romania, Slovakia, Bulgaria, Czech republic, Finland, Hungary, Latvia, Lithuania, Malta, Estonia, Australia, Greece, Portugal, Cyprus, Slovenia, Japan, Sweden, South Korea, Indonesia, Taiwan, South africa, Thailand, Belgium, France, Hong Kong, Ireland, Netherlands, Poland, Spain, Italy, Germany, Austria, Bahamas, Israel, Mexico, New Zealand, Philippines, Singapore, Switzerland, Norway, Saudi arabia, Ukraine, United arab emirates, Qatar, Kuwait, Bahrain, Croatia, Brazil, Chile, Colombia, Costa rica, Antigua and barbuda, Aruba, Belize, Dominica, Grenada, Saint kitts and nevis, Saint lucia, Montserrat, Turks and caicos islands, Barbados, Bangladesh, Bermuda, Brunei darussalam, Bolivia, Ecuador, Egypt, French guiana, Guernsey, Gibraltar, Guadeloupe, Iceland, Jersey, Jordan, Cambodia, Cayman islands, Liechtenstein, Sri lanka, Luxembourg, Monaco, Macao, Martinique, Maldives, Nicaragua, Oman, Peru, Pakistan, Paraguay, Reunion, Viet nam, Uruguay.